Sandcut Beach -- about 75 minutes to the west of Victoria -- features some shallow caves that are alternately exposed and hidden by the changing tides. 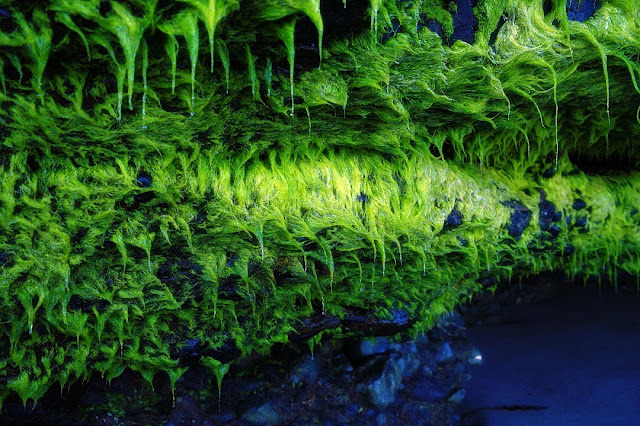 The roofs of the caves are lined with this bright green carpet of... well, some sort of plant life. 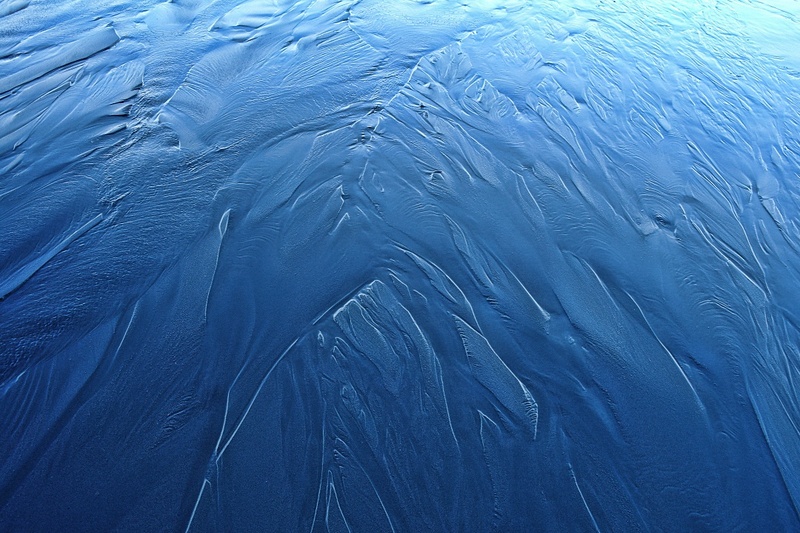 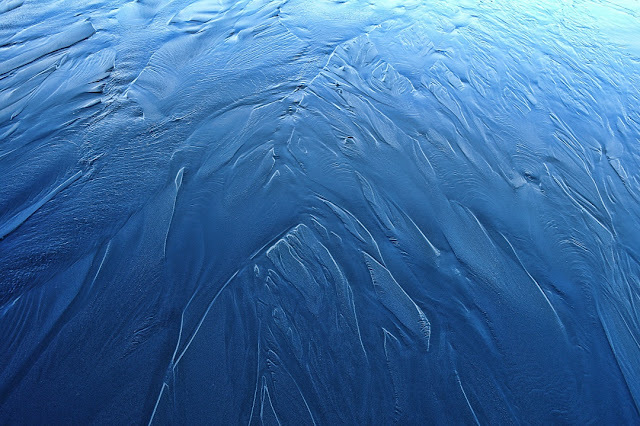 Water seeps through and down the sandstone cliffs to flow to the ocean, creating these abstract patterns in the fine sand.